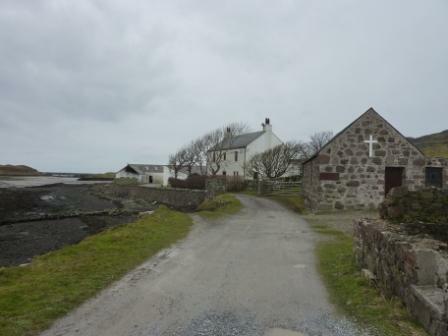 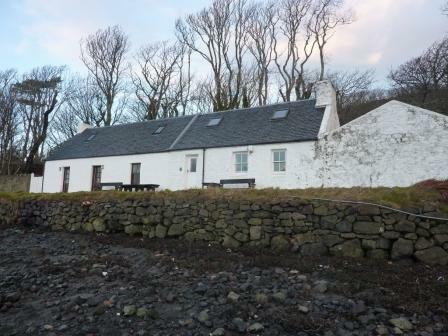 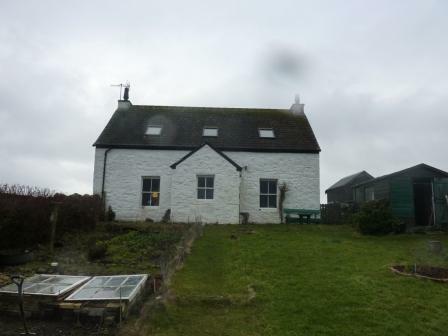 The Bothy today, Restaurant/tearoom to the left and self catering holiday cottage to the right. 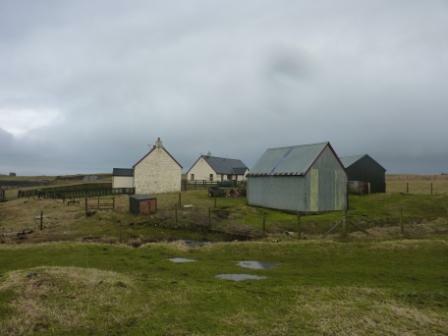 The soon to be Canna Community Shop far right Binder Shed. 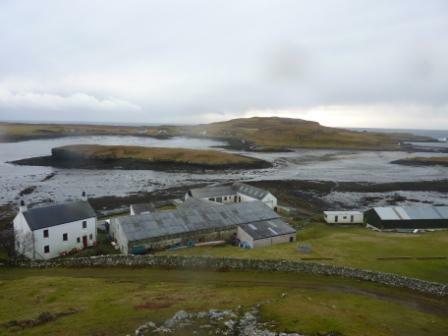 Canna Farm 2013 the workshops top right houses a new electricity generating station built in 2000 and providing the Island with its only source of mains power from diesel generators. 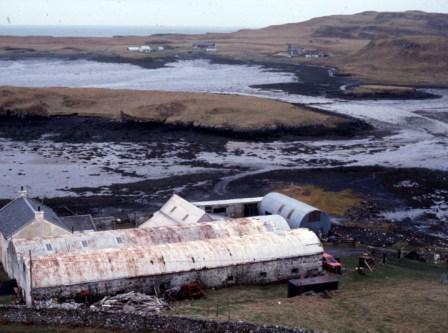 A vehicle workshop with "pit" adjoins this building and is used by all on the Island. 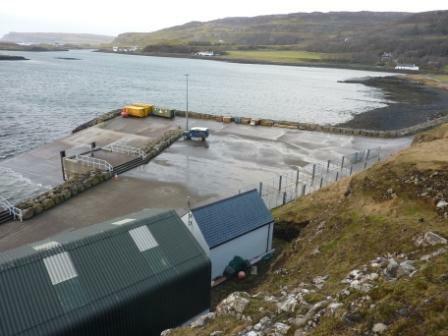 The Canna Pier facility was completely transformed in 2006 thanks to funding from Highlands and Islands Enterprise and the EU. 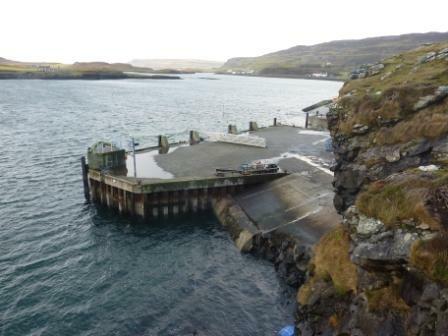 A slip-way accomodates the ro-ro ferry Loch Nevis. 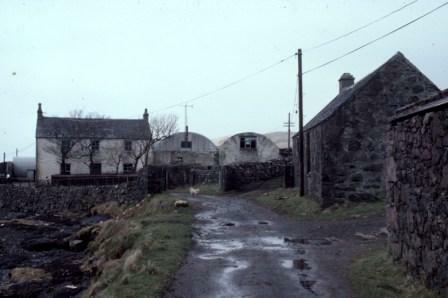 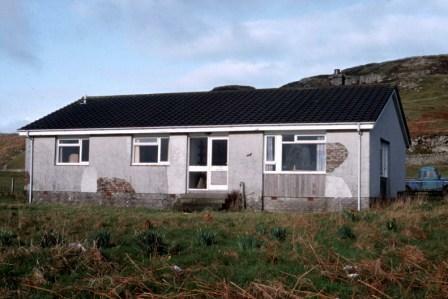 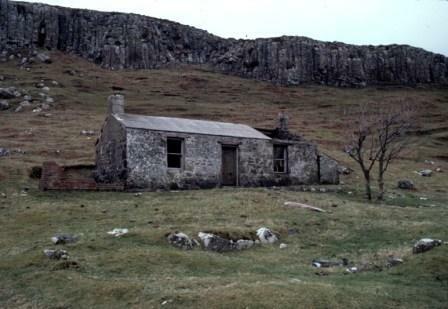 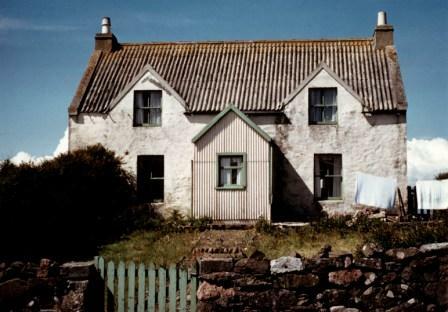 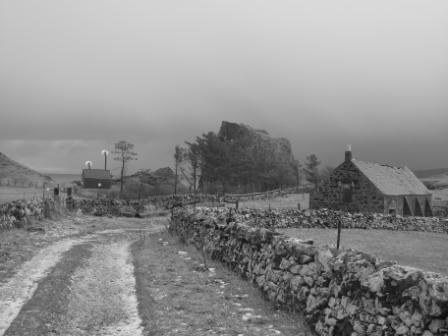 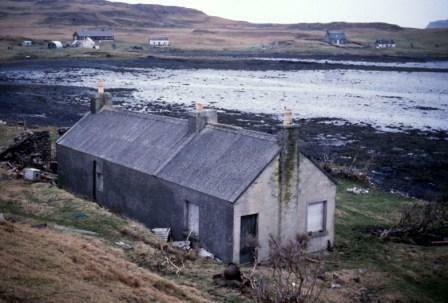 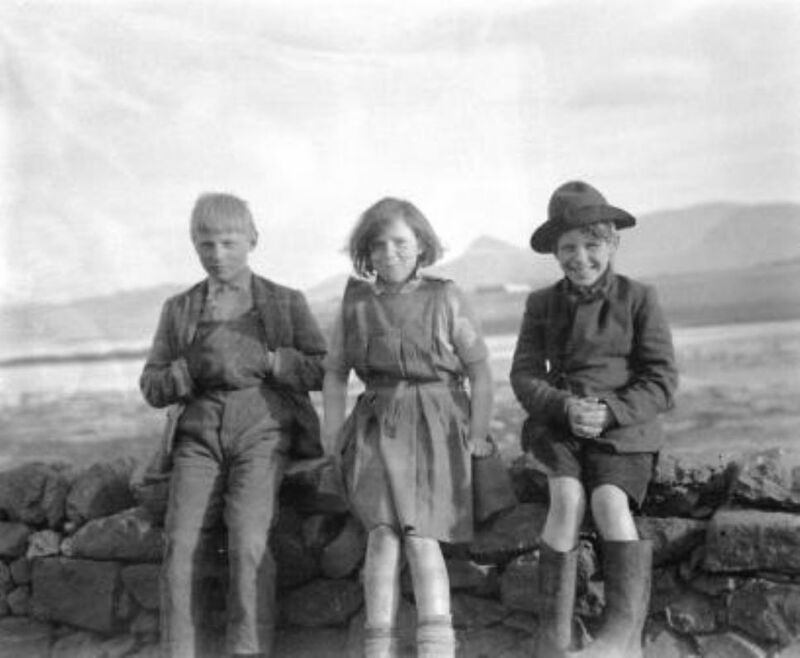 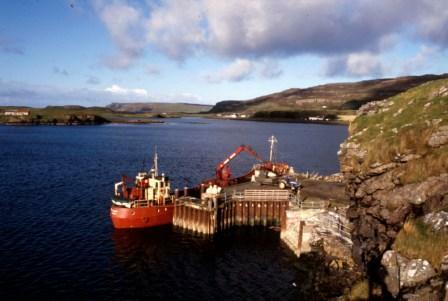 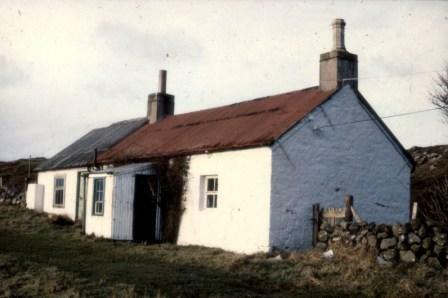 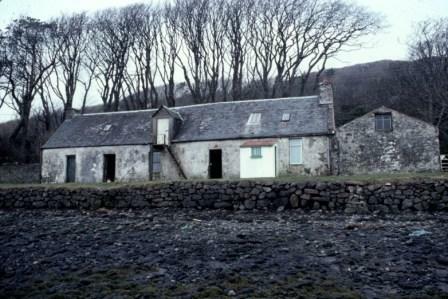 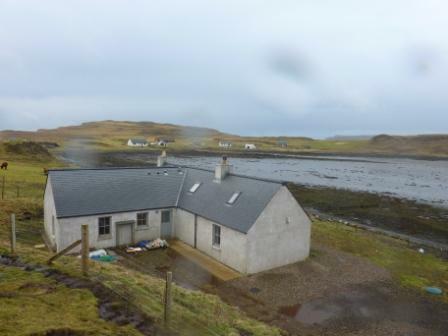 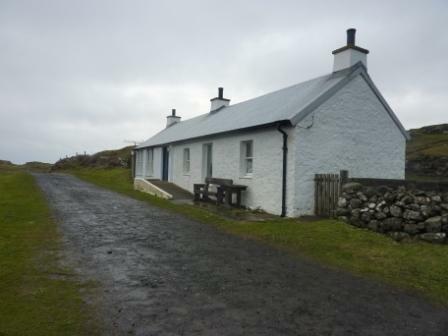 New holding sheds and a new waiting room facility which now houses a photographic exhibition of Canna's History. 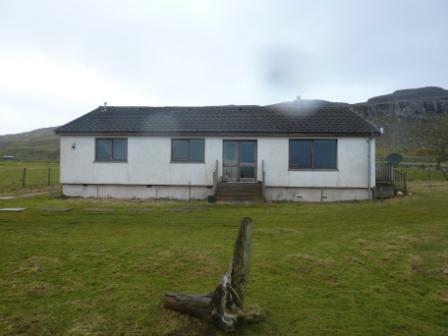 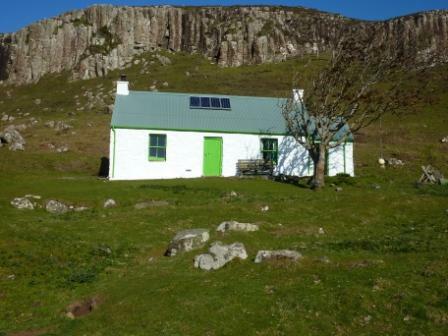 The Canna Community Association opened a small shop in the old waiting room in March 2012 which has been a great success. 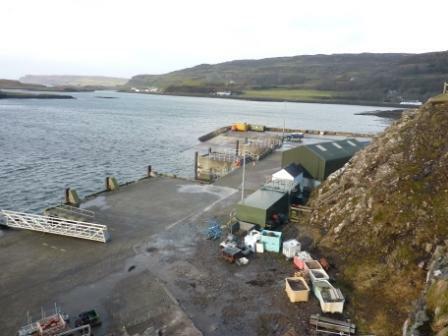 10 new Community visitor moorings are also located in the Harbour allowing yachts and pleasure craft to anchor safely whilst visiting the Island. 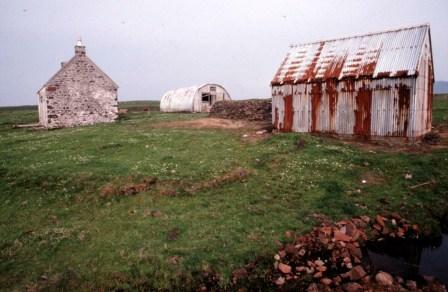 All that's left of the Coroghon Farm buildings is the barn seen here in 2015 in its ruinous state. 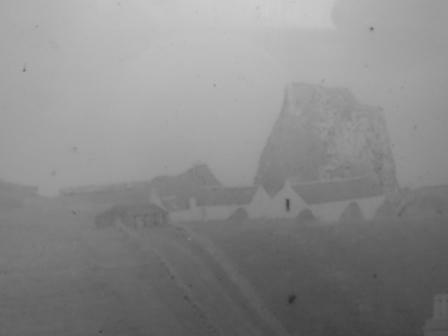 All the farm buildings that once stood to the left of the barn have been removed. 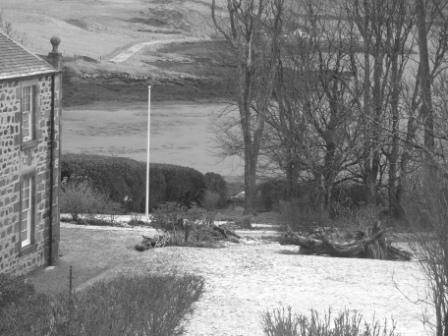 Canna House garden in the 1890's. 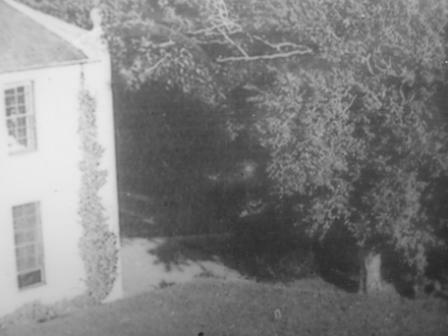 Note the elm tree to the right of the photo.